This guide will provide you with the knowledge needed to write an amazing compare and contrast essay. This type of essay is a super easy way to discuss two or more related topics or subjects that may have some similarities but also have some big differences. Good subjects for this type of essay are all around us: Bernini’s David and Michelangelo’s David, for instance; or Southwest Airlines’ organizational culture and Google’s; or President Obama and President Trump. No matter how you look at it, there’s nothing new under the sun and nothing so unique that it hasn’t been done before. Here you will see the steps required for composing a stellar essay in which you compare and contrast two or more subjects. You will understand the different parts of the essay, how they fit together, what they do, and how they should look. You’ll see just how to set up your intro and conclusion, how to begin, how to find a topic, how to outline your essay, and you’ll even be given a few essay examples to help get you on your way. 8 Why Does This Essay Work? A compare and contrast essay is an essay in which two or more subjects are shown to be similar and different in a number of ways. When you compare subjects, you note the ways in which they are the same. When you contrast subjects, you note the ways in which they are unique. This kind of essay is commonly written when two or more texts cover the same topic but take different approaches or adopt different perspectives and therefore produce different findings or conclusions. The purpose of the compare/contrast essay is simply to show how two (or more) subjects share certain ideas, points, elements, or themes and also how they differ—the ways in which they are unique; but that’s not all—the essay should also draw the reader to a larger point or purpose that helps the reader to achieve a greater understanding of the subjects through comparing and contrasting them. This type of essay can be as in-depth as you like, and the extent to which that is possible will depend on the length of your essay. Some compare and contrast essays are brief and to the point. Others are more complex and require far more analysis. The type of essay you want to write is entirely up to you and will depend to a large degree of the subject you pick to write about. There are really only a few steps to concern yourself with when writing a compare/contrast essay. You need at least two good subjects, a good list of similarities and differences between them, a good point that you are trying to make in comparing and contrasting them, an outline that you can follow as you write your essay, and of course the words themselves! The first step is to identify at least two subjects that have some things in common. Possible topics could include two colleges you might like to attend, or the similarities and differences between traveling on two different airlines, or how a pair of poems by Emily Dickinson reflect one another and yet differ in their approach to the subject of immortality; you might like to compare and contrast two sonnets by Shakespeare or two short stories by Poe and Hawthorne. You might like to take Presidents as your subject—or Kings—maybe philosophers. No matter—it’s all fair game! Essentially any subject that shares traits or characteristics will do—and since no two things are exactly alike there is always a way to contrast them as well. There are basically three parts to all essays: intro, body and conclusion. 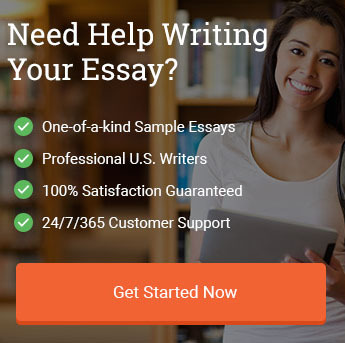 The intro states the subject and purpose of the essay and includes a thesis statement. (The thesis statement tells the reader what the paper will do, show, illustrate and examine). The body provides the supporting points and is written in a logical manner so that each paragraph connects to the next. It should flow coherently and consistently to the conclusion. The conclusion summarizes the main points by restating the thesis in different words and telling very briefly why the thesis is so. Is there anything I can clarify about these two subjects that I can make as the basis of my paper? Is there some way to obtain a deeper understanding of the subjects by examining them together? Does placing them together help to bring the characteristics of one or the other into better focus? Does the contrast help make the values and qualities of each stand out more apparently? Is one better than the other? Why? Why not? Any of these questions will help lead you to developing a thesis—a guide for your paper so that there is an overall point to your writing. A paper that makes a point or serves a purpose will be remembered far more than one that simply describes how two things are similar and different. The goal of your paper should be to take that information and synthesize it into a higher understanding: show that, yes, these two things are similar and different and this is what that means. A. While the original Babe is based on a short children’s book and is full of innocent charm as it tells the story of a pig that becomes a hero through politeness and courage, the sequel Babe: Pig in the City is a much darker film that, though still aimed at children, carries some stark reminders for adults about the inhumanity and chaos of modern times and modern living. B. This paper will compare and contrast Babe with Babe: Pig in the City to show how producer George Miller uses character and place to create an expansive world that serves as commentary on our own. C. Miller’s vision of what a full life is all about is expressed similarly in both films. B. They are also similar in ways because they express the vision of the producer George Miller, whose vision is much expanded in the second film, made possible of course by the groundwork laid by the first. An outline does not have to be divided up into sections just like the one above. Depending on how you prefer to approach your essay, you may want to discuss the two subjects independently of one another by addressing all the elements of the first subject, then in the next paragraph describe the second subject and then in the third paragraph discuss the similarities and differences of the two. A fourth paragraph could follow that builds on the third and explain what the findings should mean for the reader. Then of course you tack on a conclusion and you’re good to go! In the outline example above, the topics chosen are two films that share the same characters but differ in terms of plot and tone. Moreover, comparing and contrasting them helps to reveal the richness and variety of the films’ producer’s vision. Thus, they such as perfectly natural subjects for a compare and contrast essay. If you’re from New York, you’re more likely to be able to come up with good reasons why these two teams should be compared and contrasted. If you’re not from New York, you may still be able to do that, but you might have trouble finding someone who cares—so be sure to explain why this matters! Compare Tolkien’s Lord of the Rings to the movies by Peter Jackson. What works, what doesn’t work, what’s missing (like—say—Tom Bombadil! ), what’s added, and why all of this means that one or the other is better. Which is better—Pink Floyd’s Dark Side of the Moon or The Wall? What are the two albums doing? How are they doing it? How are they similar? How are they different? What does it all mean? BMW’s E39 might have been the best engine ever, with the M5 taking the cake for best car ever. What would happen if you compared and contrasted it with one of today’s BMW’s of any model? Find out. Transformers have received a lot of attention over the past decade thanks to Michael Bay’s string of films, but Voltron gave the original series a run for its money back in the 1980s. In fact, between the two, it is actually Voltron that carries a better message and deeper storyline that kids and adults can relate to. Which is the better investment at this stage in the game? The yuan has been strengthening in recent years and the gold-backed yuan-denominated oil futures contract may be perceived as a threat to the Petrodollar system in place since the 1970s. And how does inflation factor in? Holistic doctors and homeopathic doctors offer an alternative approach to care. Conventional care providers may focus on pharmaceutical-based treatments. Alternative care providers may focus more on natural remedies and preventive care practices. What are the differences and similarities of the two main political parties in America? In some instances they tend to express the same ideas (for example, when it comes to supporting Israel and/or wars in the Middle East), and in other instances they tend to sharply divide (for instance, when it comes to health care). Compare and contrast the philosophies and perspectives of these two historical personalities: the former promoted virtue over vice (seeing vice as enslaving), while the latter promoted vice (seeing it as liberating). This topic may be the most controversial topic ever—especially in the academic environment: but there is plenty that can be said about the two sexes. Want to know what makes men and women different on various levels? Start looking at some serious studies and see what researchers have to say. Are they both bad for you? Is one better—health-wise—than the other? What does each do to your body? Should they both be banned? Are they both addictive? Is either healthier than the other? How are they viewed by society? Topic is an important part, so feel free to try some of the topic recommendations above. However, if none of these recommendations work for you, check out our more comprehensive list of compare and contrast essay topics. A good title is always nice and using “vs.” in between the two subjects you’re comparing and contrasting can be an easy way to lure in the reader. But to make your title even better, add a colon and a phrase to the title that helps to explain what your main thesis will be. For example, try something like this Batman vs. Superman: Why the Caped Crusader Stands above the Man of Steel in Frank Miller’s World. The title tells you everything you as a reader will need to know. Batman and Superman are being compared and contrasted and the basis for comparison is Frank Miller’s work. How to start a compare and contrast essay is really not as difficult as you might think. First, all you need to do is introduce your subjects. Start by making a point about each one. For example, say: “Batman may not be nigh-invincible like Superman, but he represents something far more human than the latter does for people like Frank Miller.” You can follow this line with a word or two about who Frank Miller is and how he portrays the two superheroes in his works. Then wrap up the introduction with your thesis statement, which should tell the reader exactly what you are going to do in your paper and how you are going to do it. The thesis statement is where you explain the purpose of the paper. Of course, we know that you will be comparing and contrasting two or more subjects—but tell the reader why you are doing that: what is the point of the comparison? What greater understanding is the reader supposed to walk away with? In this thesis statement, the reader is told what will be happening in the paper and what point the writer is going to make—namely, that Batman is superior to Superman, as portrayed by Frank Miller. The body is where you build out your paper. There are a couple ways to do this. You can discuss each topic, one paragraph at a time, or you can discuss both at the same time within the same paragraph. Depending on which you choose, your paper will have a different flow, but the main structure will be the same. Each paragraph should consist of its own topic, whether you are discussing the qualities of one subject or how the two subjects compare/contrast on one particular point. You can have as many paragraphs as you do topics to cover. Figure at least one paragraph for each topic and a paragraph in which the points are synthesized into the greater meaning for a minimum total of three body paragraphs. The conclusion is where you close out your essay. Re-iterate your main points, re-state your thesis in new words, and highlight your over point one more time in a way that is fresh so that your reader will go away with that final thought. Thanks to these easy to follow steps, you now know how to start a compare and contrast essay. Good luck! Sources are used to help you support your points. Always cite whatever sources you use in your paper and reference them at the end. We’ll show you how to do just that below. Whenever you use outside sources, you will be required to cite those sources. There are different methods of citation. One of the best places to go for guidance on how to cite different types of sources according to a variety of methods is Purdue OWL. There you can search MLA, APA, Chicago styles and more. Miller, Frank. The Dark Knight Returns. Burbank, CA: DC Comics, 1988. Print. Miller, F. (1988). The Dark Knight Returns. Burbank, CA: DC Comics. Batman and Superman are two heroes in the DC Comics universe—but for one legendary comic booker creator, the two superheroes are not even in the same league. Frank Miller penned The Dark Knight Returns in 1986 and pitted Batman against Superman, with Batman representing a moral principle and Superman acting as a Fascist “government lackey” (Yogerst, 2013). This paper will compare and contrast Batman and Superman and show why in Frank Miller’s comic book universe, the Dark Knight reigns supreme. In The Dark Knight Returns, Batman is in his 50s. Superman is still, of course, youthful and strong. Superman is also in touch with the President of the United States and confers with the White House about what to do regarding the situation in Gotham City, where Batman has essentially become the unwitting leader of a vigilante mob. The President is concerned that Batman’s power is a threat to national security and so he enlists Superman to arrest Batman. Against this backdrop, Miller paints Batman as an older man who has come out of retirement to save his community from a gang called the Mutants: Batman is in this sense of a reluctant hero who nonetheless rises to the challenge and uses brain and brawn to subdue his adversary (and in doing so he wins the respect of the foe’s followers who now become devoted to Batman). Superman on the other hand is painted as a willing puppet of the President. He does not act out of compassion for his community the way Batman does. He lacks the social intelligence that Batman has. Superman represents the Establishment—a governmental form of the foe that Batman defeats. In this way, Miller pits the two superheroes against one another: Batman is the grassroots hero; Superman is the alien, governmental goon seeking to cut down anything that is not officially approved by the higher-ups. Batman also represents the spirit of the law whereas Superman represents the letter of the law. Batman understands that the world is living through a broken system and that bad guys take advantage of the legal limitations that handcuff police, lawyers, politicians and leaders. Batman is a man who will confront the bad face-to-face because there is no other choice. He is in line with the classic motif encountered in all the old Westerns—the duel. Batman is the lone fighter who will defend the town no matter the force. He will be prepared and ready for action. Superman on the contrary is less prepared: he rides in on assumptions, thinking he knows the score, knows who is at fault, understands the situation, and knows exactly what to do. Anything that confronts him outside his legalistic mind frame is anathema. For this reason, he is ultimately overpowered by Batman: Batman has protected himself with an armored suit and developed a weapon that utilizes kryptonite to subdue Superman. Batman is smart—both book smart and street smart. Superman is naïve—the lackey of the government. As Miller notes, he is always “rooting for Batman” because he is more man than Superman: he is more human, more vulnerable, is more easily related to (White, 2016). He embodies our virtues, our fears, our concerns and our ambitions. Superman is less familiar to us because he is not actually of our world: his abilities distance him from us; he appears cocky, smug. His sense of decency is also formed, in Miller’s eyes, by a corporatist mind set—one that wants truth, justice and liberty—but on the terms of the corporation and the government. Batman opposes the superficial heroism of Superman, knowing that the world needs a moral underpinning—and that is what Batman seeks to provide his followers at the end of the comic. In conclusion, Frank Miller’s Batman and Superman are two very different superheroes in The Dark Knight Returns. The former is violent but out of necessity; he conquers because he does not want his community to suffer from evil. Superman is less prominent in terms of human compassion; he is out of touch with the common man; he mingles with elites, rules from afar, has no sense of the good that is in what Batman does. While both are capable of superhuman feats, Miller clearly favors Batman. If we examine this essay, we see that it works well for a number of reasons. First, it has a good, catchy title that represents what the essay will be about. Second, it uses a hook in the first line to grab the attention of the reader. Third, it neatly identifies the main idea of the paper in the thesis statement that comes at the end of the introduction. Fourth, the body of the paper supports the main idea by examining the two subjects on various levels. Finally, the conclusion succinctly summarizes the essay’s findings and returns the reader to the theme of the paper. This model essay is just one example of how we take a subject and make it our own. However, we understand that no two assignments are the same—and neither should any two papers be the same. That’s why our business model is predicated on providing clients with 100% uniquely customized model essays that are tailored to the specific instructions of the client. Are you trying to write an essay in which you compare and contrast two different types of economic systems? We’ll give you a model essay that shows how we would do it if we were writing a paper according to your parameters. Are you comparing and contrasting two different nursing approaches? Our example essay could help you figure out how to write your own. Are you comparing and contrasting two educational philosophies? We’ll give you a model paper that shows you the way. Our writers are standing by now to help you overcome the challenges you’re facing. Learning by example is one of the surest ways to success—so let us set the example and order now! In conclusion, the compare and contrast essay can be accomplished quite easily with a little thought and preparation. The writer of this type of paper simply has to look around, identify two (or more) subjects that have something in common but that also differ in significant ways, and then note their similarities and differences. Once that is done, it is just a matter of showing what the purpose of the comparison is—what’s the point? The answer to this will be your thesis statement, which you will include in your opening paragraph. The rest of your paper will follow the outline you create—just like the outline above: it will give you a clear, bare bones guideline for what to write and where. Follow this to complete your essay and you will have no problems! "Compare and Contrast Essay." Aceyourpaper.com. Student Network Resources Inc, 9 May. 2017. Web. 18 April 2019. Student Network Resources Inc. "Compare and Contrast Essay." Aceyourpaper.com. https://www.aceyourpaper.com/essay-writing/compare-and-contrast-essay/ (accessed April 18, 2019).